The Utah congressman has turned his housing situation into a multiyear political stunt—while voting to gut the safety net. A few months ago, Utah Congressman Jason Chaffetz famously opined that Americans needed to make “a choice” between spending money on the latest iPhone or their health-care bills. Well, just as he’s about to quit Congress, Chaffetz is back in the news, only this time he’s oozing sympathy for people’s financial woes. Which people? Not folks like you and me; Chaffetz’s sympathy is reserved for his soon-to-be-former colleagues. Let’s not play the violins. Indeed, Washington, DC, is an expensive place to live; the British firm Nest recently ranked it the fourth-priciest rental market in the United States. But when it comes to who needs help paying housing bills, common sense says Chaffetz and his fellow members of Congress should hardly be first in line. The number of affordable units—that is, apartments costing $800 or less—fell by almost half between 2002 and 2013. The city’s homeless population has increased by almost 9 percent since 2012. But these people aren’t Chaffetz’s concern. He voted for the AHCA, the repeal of the Affordable Care Act that would not only cause an estimated 23 million people to lose health insurance over the next decade, but also result in premium surges for many. Under the current healthcare law, the Congressional Budget Office determined that a 64-year-old earning $26,500 would pay $1,700 annually for coverage in 2026. But under the AHCA, that same person would see their yearly tab surge to $14,600, more than half their annual income. No doubt that hypothetical person would like to see their subsidy continue. But instead the plan would give a nice gift to the wealthiest among us. According to the Center on Budget and Policy Priorities, the health-care legislation Chaffetz supported would have resulted in the wealthiest 400 families in the United States saving $33 billion on their tax bill between 2019 and 2028. That sum is greater than the amount saved by ending the Medicaid expansion in 20 states. In fact, Chaffetz’s appears most fond of tough choices when he’s not the one footing the bill. According to reporting by Lee Fang at The Intercept, Chaffetz’s political action committee paid for his Verizon phone bills and for a $738 purchase at the Apple Store last year. That’s not to say Chaffetz doesn’t have a point. According to OpenSecrets, the median net worth of member of Congress is in the seven figures. But it’s more than a stretch to attribute that to the ever-increasing cost of housing in Washington, DC. It seems more likely the number of millionaires in Congress can be explained by the United States’ dismal campaign finance system, which encourages runs by self-funded candidates. Chaffetz, with a net worth in the six figures, is worth less than the typical member of Congress. Surrounded by millionaires, it’s all but natural he would feel poor. This, in the end, is one of the many problems of the 1 percent society we all live in. Norms are defined ever upward, leaving well-off people convinced they are struggling. That, in turn, leads to a lack of perspective of the sort that would allow someone like Chaffetz to turn housing into a multiyear political stunt, while all too many are truly in need of a bed—or health care. Never mind them, Chaffetz is all but saying in this interview, what about me and mine? 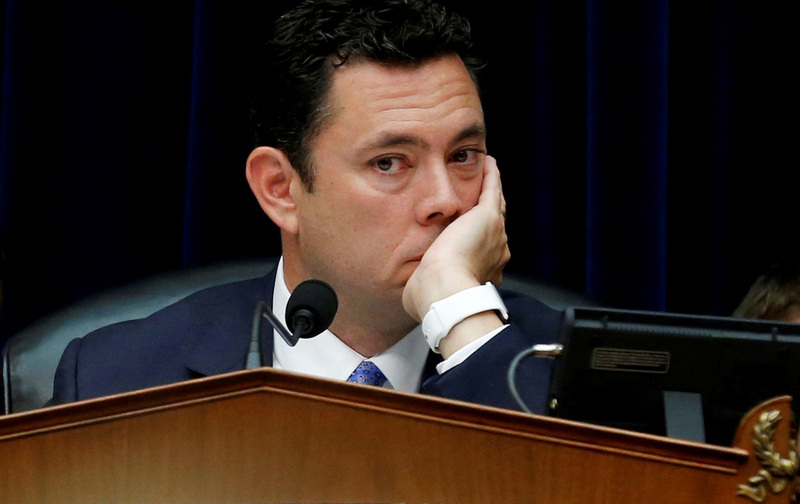 In the meantime, Chaffetz, whose last day in Congress is June 30, is already making sure he never need to sleep on a cot again. Fox News announced Wednesday he would be joining the network as a contributor, and he says he plans to go out on the speaking circuit, join a number of corporate boards, and consult with technology companies.